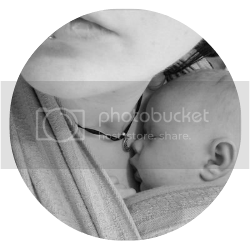 One thing as Mum's that we're painfully aware of from within the very seconds of giving birth is just how delicately precious our babies skin is, there's a reason why the old saying goes 'Soft as a baby's bottom' babies have soft skin, they're supposed to. However, these beautiful little dollops of wonder produce some rather less delicate dollops. We all know that we're supposed to use cotton wool and water in the first few days and for as long as possible after, water is naturally one of the best things for their skin, perhaps one of the most appropriate things to use too. If you've ever tried to wipe up meconium with cotton wool and water at 3am in the morning, you'll absolutely understand why so many parents quickly switch to wipes. We're trusting that all these wipes will be okay. They say they're for babies, they even have a picture of a cute happy baby on the front so they must be okay for babies, right? Some even go so far as to say 'dermatologically' tested and 'sensitive', well laundry powder and hair dyes are also tested yet we wouldn't routinely put these on our babies, right? 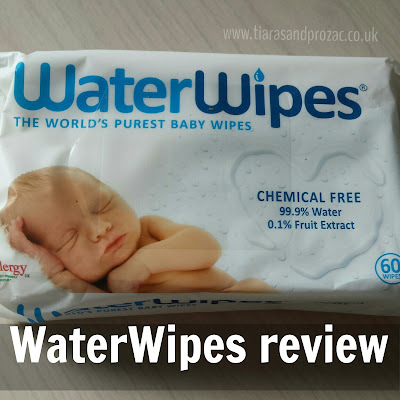 I'm not saying these wipes are necessarily bad for our babies, hell I use a mix of reusable cloth wipes and so-called 'sensitive' disposable ones it's just that because something isn't bad, doesn't make it good or even better, optimal. 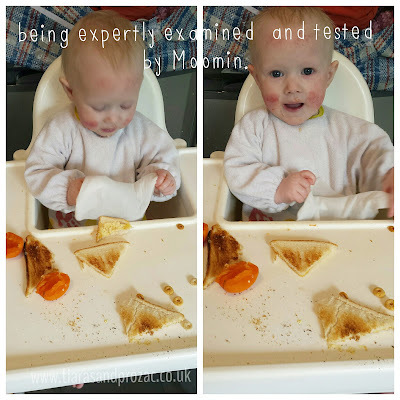 Our fourth baby, Moomin, has brought a new game to the field, that of eczema. Until recently, wipes wise, everything was dandy as the eczema is primarily on her face. 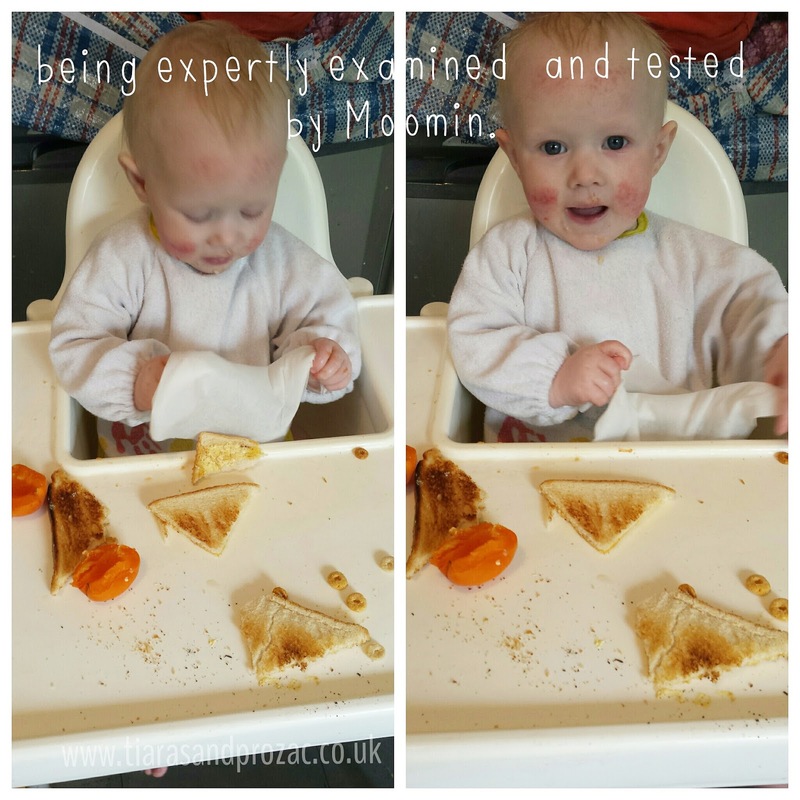 We're now in the realm of weaning onto solids, baby led weaning to be precise, and oh boy is this a messy game. At home it's okay, I can dunk a reusable wipe or kitchen roll under the running tap to wipe her down with yet out and about, without a travel kit of reusable wipes, there's little choice. I'm a forgetful sod and I like to leave a 'just in case' pack in my changing bag just in case I forget to pack our cloths. I know one thing, I wouldn't dare even think of using one of the usual disposable wipes on her face, she even reacts to many prescription dermatology creams. We only ever wash her in water. I tried WaterWipes first on my own face and then on a cut on my leg and not even so much as a tingle and no questionable residue either. 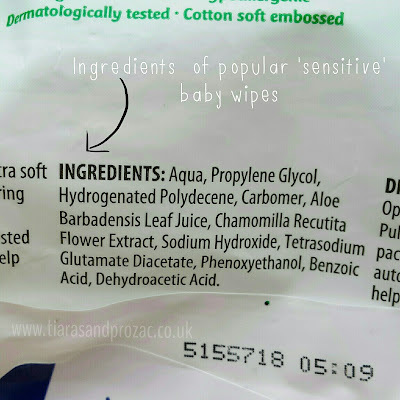 Have you ever actually looked at the ingredients in many baby wipes? Are they all necessary? Want to know what some of these are? You may regret Googling them. Because of this I was incredibly keen to try out WaterWipes. It's refreshing to see a product with a fitting title as these genuinely are 99% water, the other 1%? Grapefruit extract. These are the only wipes in the UK made using just water and a drop of grapefruit extract. Not only are they none irritating on her bum (with possible food allergies/intolerance's we have some interesting nappies that often make her sore) but I've dared used them all over when she's finished smearing herself in food. The biggest test yet? She'd managed to Ninja her way out of her ScratchSleeves and subsequently managed a quick clawing session at her face which resulted inevitably in bleeding, I picked up the nearest clean thing, a WaterWipe, to clear the blood before applying cream and guess what? No howling, no reaction. It was cool and soothing and she didn't mind it at all. Great to keep close at mealtimes and even better to slip into the changing bag whilst out and about or travelling. Now because of the lack of chemicals and preservatives, these should be used within 4 weeks of opening, but in all honesty who's ever had wipes last longer than that with a baby or toddler in tow? Also you may have to tip them upside down and squeeze the pack if they ever feel a bit dry as the water may naturally sink to the bottom but we've not had to do this yet and, to be fair, I've had to do this with all disposable points at some point. 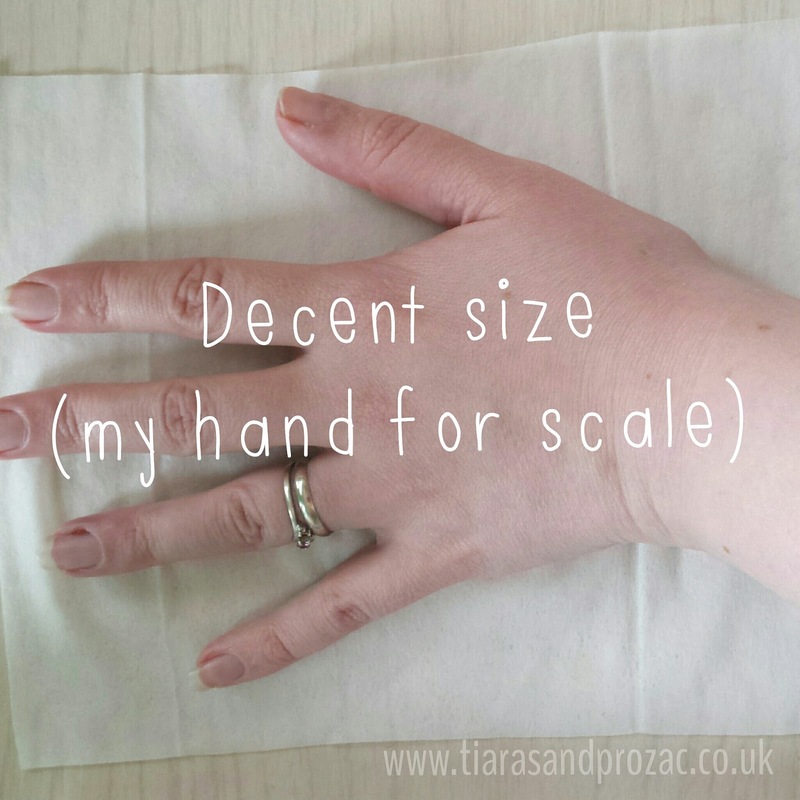 I'm still a massive advocate of reusable cloth wipes but, these are an excellent compromise and for a quick grab disposable solution. 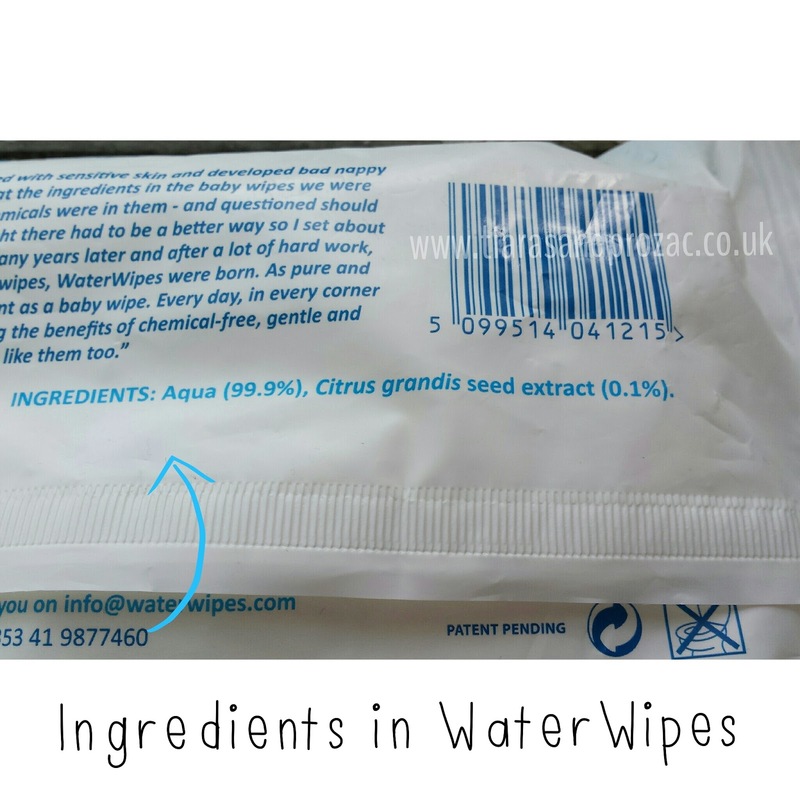 The only improvement I could suggest is that personally I much prefer packs of wipes that have a plastic lid on rather than the peel away type that you stick back over as i find these can lose their stickiness and The Spawn have a habit of pulling them completely off and 'losing' them. 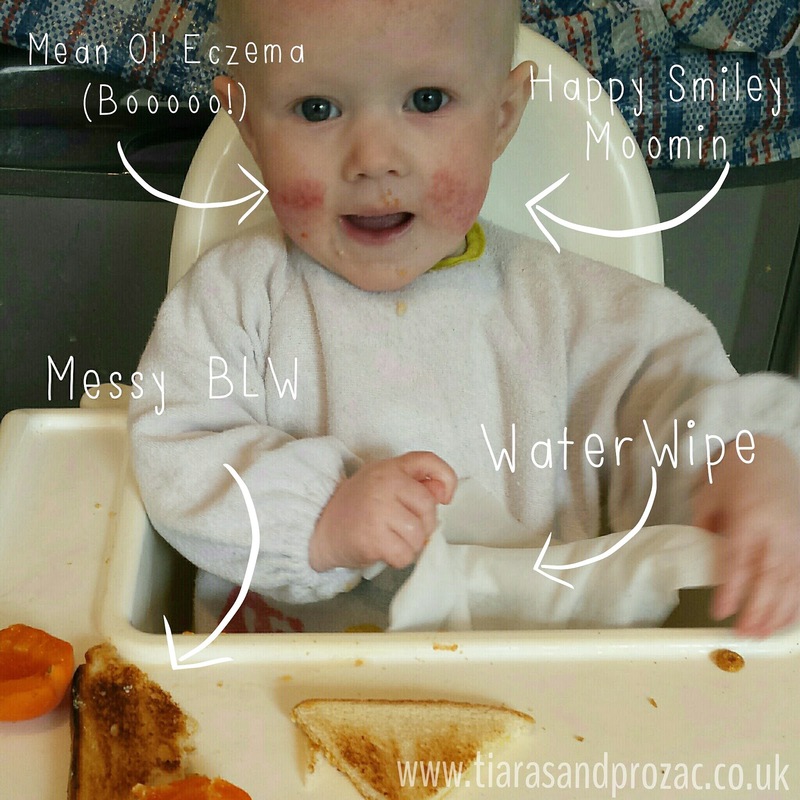 When Moomin was a newborn, and spent the first few months pooing about 10+ times a day and vomiting every night, I really wish I'd known about these! ***I am a member of the Mumsnet Bloggers Network Research Panel, a group of parent bloggers who have volunteered to review products, services, events and brands for Mumsnet. I have not paid for the product or to attend an event. I have editorial control and retain full editorial integrity.